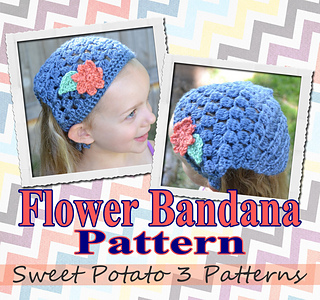 This crochet pattern comes with complete instructions for this fun Flowered Bandana. 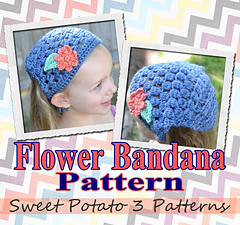 What a fun, cute way to keep your hair back while working or just wear it as a cute hair accessory. This is also a great way to help you use up your yarn stash.